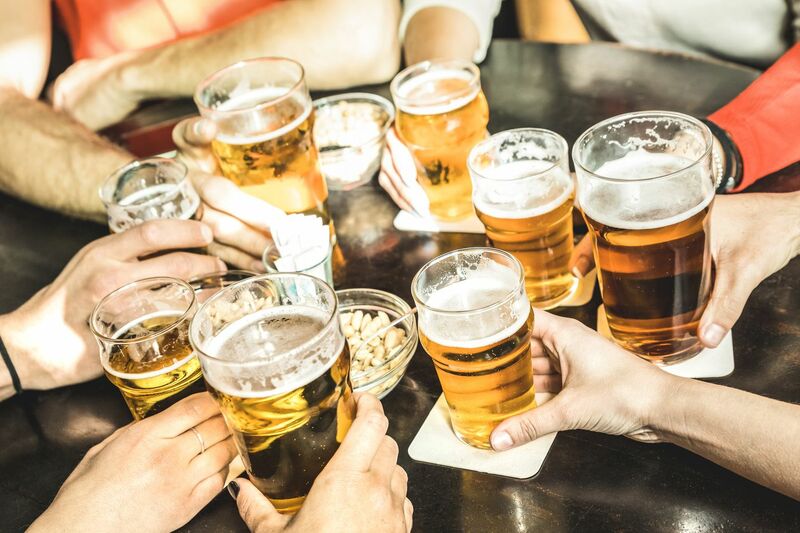 The study found that genes involved in controlling drinking behavior act differently in heavy drinkers. The study found that genes involved in controlling drinking behavior act differently in heavy drinkers. PER2, which influences the body’s biological clock, and POMC, which regulates the stress-response system, show reduced gene expression, meaning they produce proteins at a lower rate than normal. After confronting mental illness and addiction, he wants to help others. But one thing’s stopping him. The result? Those people have a greater desire for alcohol, and often drink more. The question that remains is what exactly the effect is. “It’s pretty amazing that stressors like drugs can create genetic change,” said Bill Jangro, medical director for the division of substance-abuse programs at Thomas Jefferson Hospital. “It goes against what most people think.” Our DNA is not immutable. Even a substance like alcohol, which many think of as lower risk, has this effect. In fact, most research in this area focuses on alcohol’s ability to change DNA, though studies show a similar effect from opioids, cocaine, cannabis, and methamphetamine. But “we don’t necessarily know the full ramifications of what this change means,” Jangro said. Will children with these changes be at greater risk for addiction? Will they be more likely to develop a mental illness that can lead to substance use? Researchers in the field of epigenetics, which studies how the environment can affect the way a person’s genes are expressed, are avidly hunting for answers. The answers, they say, could change the way we think about addiction, and even suggest ways to treat substance-use disorders at a genetic level. Epigenetics focuses instead on how environmental factors can cause more immediate change, within an individual’s lifetime and passed down to the very next generation. Previous research has shown different drugs can cause DNA methylation on different genes. Studies on opioids indicate that methylation of the OPRM-1 gene, which is responsible for opioid receptors in the brain, creates a tolerance to the drug — explaining at a biological level why people who use opioids crave greater amounts over time. Although it has long been observed that addiction can “run in families," DNA analysis doesn’t tell us if someone is more likely to use drugs in the future. That’s the holy grail researchers are searching for, Sarkar said: a biomarker. If certain changes in DNA methylation predispose someone to addiction, we could identify those individuals and create early interventions, Sarkar said. But for now, that research is limited to rats. A series of studies out of Tufts University’s school of veterinary medicine found that male rats whose parents were given morphine developed a tolerance to morphine more quickly. And their female siblings showed an increased sensitivity to the rewarding effects of opioids. “Even limited exposure to opioids can have lasting effects across multiple generations,” the authors concluded, including the possibility that children will be predisposed to drug abuse. The ultimate goal of research on the epigenetics of addiction is to find a genetic cause — something we can point to, the way we know a lack of insulin production causes diabetes. In a 2018 paper that reviewed the most recent findings on DNA methylation and drug use, researchers from McGill University in Canada suggested methylation inhibitors could be used to treat addiction. This would “target the epigenetic underpinnings of this condition rather than the symptoms,” they wrote. It could reduce the incidence of relapse by stopping the process that causes craving in the first place.